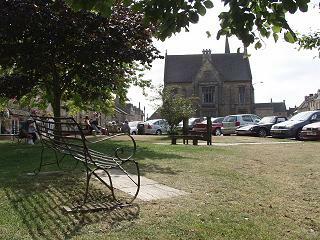 Stow-on-the-Wold lies within the heart of the Cotswolds area and demonstrates outstanding natural beauty. 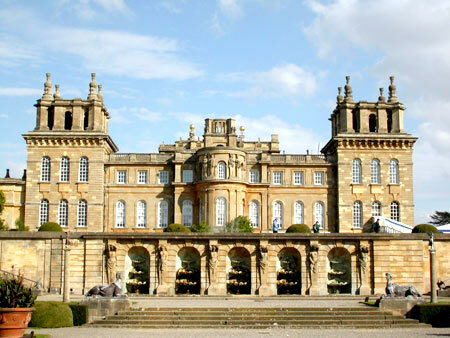 It is the highest town in the Cotswold’s at about 800 feet above sea level and was built mainly in the 17th and 18th century after the Battle of Stow - the last battle in the English Civil War, and has witnessed secluded growth and prosperity throughout the Iron, Stone and Bronze Ages. The Cotswolds Wool Town is situated just beside the Roman Fosseway set on a rounded hill giving it the Iron Age meaning of ‘meeting place on the hill’. 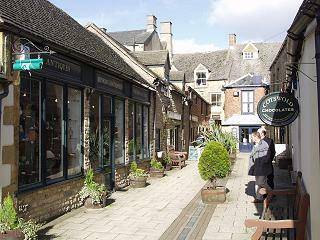 The fantastic shops and restaurants in Stow-on-the-Wold. The Old Stocks in the Square. The Town has many fantastic places to see with most of the buildings being listed due to their individual historical and architectural importance. Many of these buildings date back to as early as the 10th Century. The Church alone has stood on site for over 1,000 years and was built in dedication to Edward the Martyr, King of the West Saxons who was murdered in AD 978. Other exceptional historical places of interest include St. Edwards House, the Town Stocks, the Roman Wells and Maugersbury Manor. It is even said that the Royalist Hotel on Digbeth Street is the oldest Inn in England, so that’s surely worth a visit and a pint of fine Ale! Stow-on-the-Wold is a truly bustling market town offering many great shops - ideal for searching for that special gift or even a fabulous old antique. The Town’s stores offer fresh and organic produce and the area is littered with excellent restaurants, pubs and bars which help heighten your memorable Cotswold’s experience. Whether it is a well earned short stay or a longer holiday you’re looking for, Stow-on-the-Wold is the perfect place to unwind, retreat and immerse yourself in a small Town full of historical, architectural and unforgettable pleasure. For further information and images of the activities and amenities in the Cotswold area, we strongly suggest you visit www.completely-cotswold.com. Thank you.